The marketing tools to help drive your business forward! 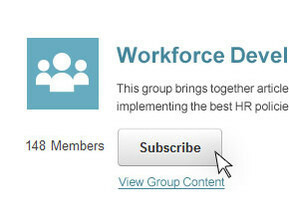 Communication with your members has never been easier. Using the inbuilt report generator within the CRM you can create dynamic lists of people within the database that meet the demographic, geographic or psychographic parameters you determine. Then within minutes, by following a few simple steps, you can send out a personalised group broadcast email with content selected to meet the group's specific needs. IGs are created by you and allow website users and members to register their interest in a specific topic that usually relates to a region, business type, or industry issue. Once members subscribe to a IG they are recommended related Content, News, Events, Questions and Answers, Media Requests and Resources that have been associated to the IG. Members receive notification of new material relevant to their IGs in a snapshot providing fast and simple access to new or modified content. Member Evolution enables you to create powerful and effective email campaigns that build engagement with Website Users and Members to encourage further interaction and engagement. 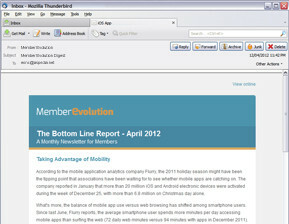 Users can create or modify existing eNewsletter templates quickly and easily. Staff can now track message history, read rates, bounces and several other statistics through the reporting tool within the CRM to analyse the effectiveness of each campaign. This creates additional ‘touch points’ with new and existing Members which is vital to your ongoing brand elevation. 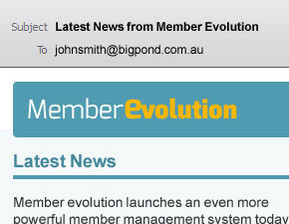 The use of eNewsletters for this purpose can be a very effective means of delivering specific targeted information. Read more on how to communicate effectively with your members. 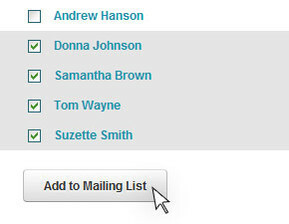 Website User and Member lists can be created from the CRM (Static or Dynamic) and you can send information to the list which is deemed relevant to them based on the preferences set by the Member. These can include emergency Newsletters that need to reach each member to advise of important information relevant to all Members. These lists do NOT require a subscription or Opt-in process but should a Member choose to not receive emails then they will not be sent the Newsflash. There are two digest email processes within the system. The first being sent to individual Members highlighting content, events, training, resources and other information which meets their User preferences. 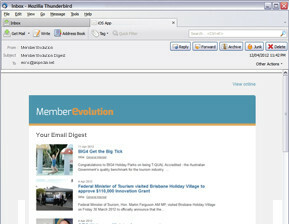 The system automatically sends email digests to Members based on a schedule they choose (Daily, Weekly, Monthly, Never). The second digest is sent to the Member Administrator and Finance Representative. This digest highlights the overall usage of the system by all users associated to their membership including leads generated through the Member Directory. The aim of this digest is to build value for the key stakeholders of each Member and stimulate increased retention rates across your Member base.